Tea Party Anyone? | Do the twisted. 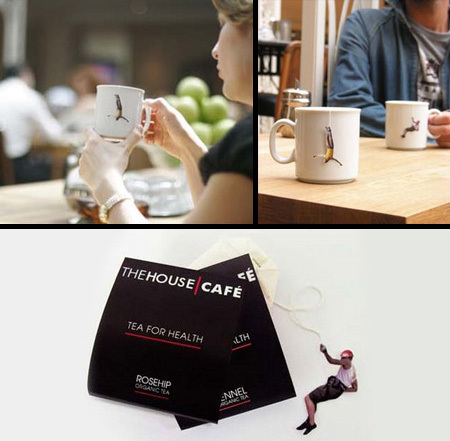 The House Cafe in Istanbul, Turkey attached cut-outs of people doing outdoor sports to their teabags. Anyone up for some mug climbing? 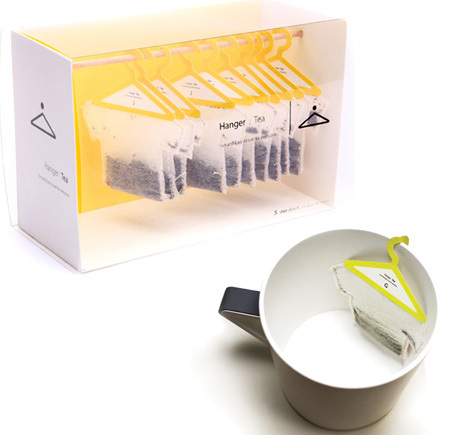 Hanger Tea-Shirts by Soon Mo Kang offers a unique take on “t-bags” and “tea-shirts.” It usually takes me about a week to fold/hang my clean clothes out of the dryer so at least I would feel good about one closet being organized. I’m not a smoker, but next time a co-worker goes out for a cigarette break, I’m going to join. It’s not fair that they get extra 10 minute breaks when I have to stay and work. 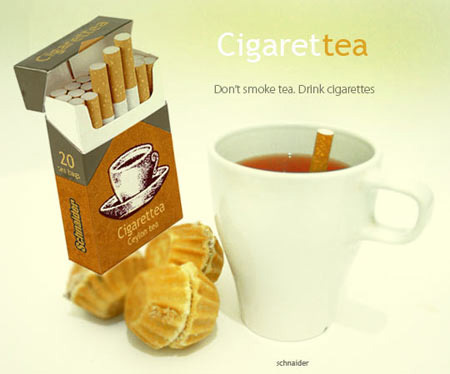 I’ll just grab a hot mug of water and my box of Cigarettea and grab some fresh air. OK, maybe it won’t be fresh because of the cigarette smoke, by my taste buds will be happy. Are you a pirate? If so we have the tea bag for you. 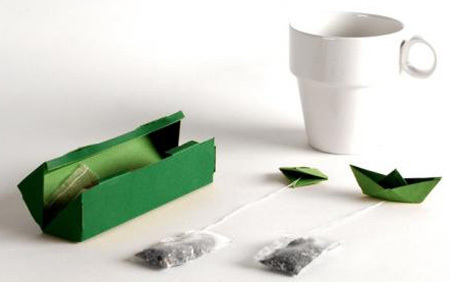 These bags are attached to a floating paper boats. Just don’t go all crazy on us and yell “I sunk your battleship” after you’re done with your cup.